After working Wizkid chooses a lovely way to spend his leisure time. The ‘Soco’ crooner is definitely fond of his third son Zion. 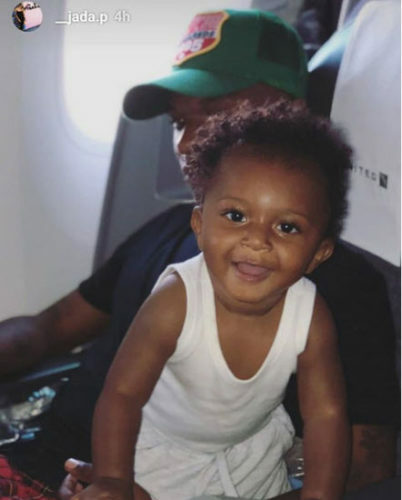 In a new photo shared by Jada P, Wizkid’s third baby mama, the pop star was seen spending time with his son. Jada P shared the photo on her Instastory as pictured above.